I, Zozo Louise from The London Lipgloss, pledge not to judge anyone based solely on their appearance. I believe in society today, as unconventional as some people choose to dress, we are all allowed freedom of speech though any medium fit. I believe entirely in the S.O.P.H.I.E foundation in memory of Sophie Lancaster and will do anything I can to raise awareness of this. Growing up as a young punk in a tory area wasn't easy, but I thank each and every single day where I could have potentially been the victim of an entirely appearance-based killing. I want to teach others that no matter how someone looks on the outside they are just as beautiful as you on the inside, and we are all entirely equal. I love that through my very unconventional beauty blog I can show the world my style and hopefully bridge a small gap between high-street fashion girls and alternative girls. 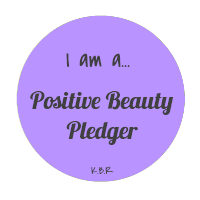 I pledge to fully support all aspects of beauty and fashion blogging from all different kinds of fashion bloggers, and be an active part in raising awareness of awesome people. What are you doing in this picture? Going through my myspace scene queen stage of life, trying very hard to impress boys on the internet by clearly trying to have the worst extensions and the best eyeliner. I felt very fake at the time, I didn't like having to cake my skin in all that makeup and I didn't like the extensions in my hair, but I did it because I wanted to fit in with all the myspace emo/scene trends of the time. It really hurt, looking back at it now it's pretty ridiculous really! Also I didn't take care of my hair at all so it just got really frazzled and just erghhh, horrible. I never blowdried it properly and never styled it. I hate the way I look here. Is there anything that you like about the picture? 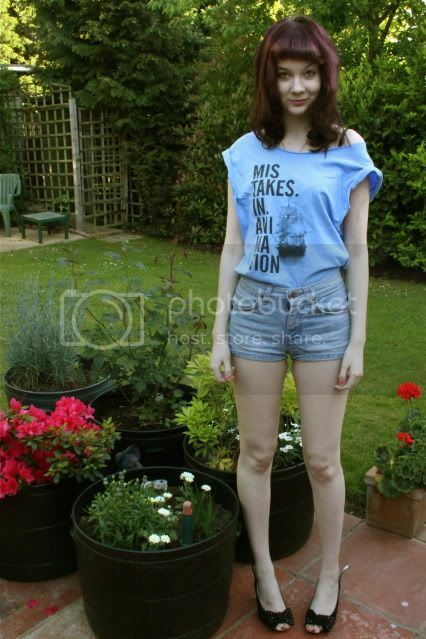 Funnily enough it was taken today for my new outfit post, but I absolutely love it. I'm showing my outfit of the day for my blog, in Del's garden. I've just moved in with him. Why do you prefer this picture to the first one? It's me. It's taken me sometime to find the real Zozo especially after being buried in a lot of makeup and stuff for years trying to fit into a conventional emo look. I feel so proud in my skin that i've found myself, i'm not conventional at all but I love my Katy Perry hair and my kooky dress sense. Has comparing how you feel about both of these pictures made you realise anything about how you view yourself? Yes absolutely, it's made me realise how much happier I am now, being much much more of a natural girl. I feel i've let my inner girl run free! Give us an example of someone that you consider to be "unconventionally" beautiful, and why do you think she is beautiful? Now i wouldn't go as far as saying Dita is unconventially beautiful, as she's far more of a classic beauty. But in this modern age of fakery and well, fashion, Dita maintains a classic pin up look and by this current century perspective, I don't view her as a conventional idol for most girls. I however, love her attitude toward makeup and beauty aswell as her beautiful face and body. She truly is inspirational because she, like hundreds of other women all over the world, defy convention everyday and attend rockabilly conventions and still dedicate their lives to the fashion of the 50s. I absolutely love this era and I admire women who are an active part of it. I think Dita leads the way, and she is a remarkable woman. We could all learn a thing or two about life from her. And Kat, as a final thought, I just want to say how happy I have been this evening after reading your wonderfully positive blog. The beauty blogging world can be a horribly negative place at times, as it has become competitive and about popularity. The fact that you are just simply spreading some simple good old fashioned love amongst this negativity is incredible, and I really really admire you for doing it. TLL will wear her blog badge with absolute pride. Thank you. Thanks very much Zoe *blushes* I'm always glad to know that people are so keen to support the Pledge. I agree there is a lot of negativity around the beauty blogging world and it's hard not to get sucked in by it, or to allow it to really drain you emotionally. It's important for us all to remember that we're all here for the same purpose of sharing our views and thoughts on products that we use to make ourselves look and feel beautiful. We should work together, as a unity, not against each other. I had a friend who said she was the scene queen *raised eyebrow*. I always thought it looked amazing but I couldn't be bothered with the effort. All that makeup and fake hair. Oh and the lashes. Far too time consuming.